A KEY water-saving program that gave households help to stop leaks and conserve water was quietly axed just as the state's widespread drought reached crisis levels. 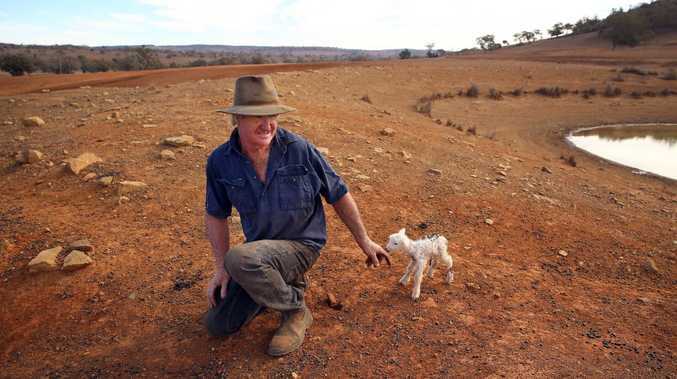 The Daily Telegraph can reveal the WaterFix program ceased taking household appointments on July 31 - when NSW was approaching 100 per cent drought - after operating for almost two decades. A replacement conservation program is currently "being designed", but no one can say how far off it is. The Daily Telegraph revealed last week that water restrictions could be activated in Sydney by next year as the state battles quickly falling dam levels. Sydney Water admits the WaterFix household program has saved millions of litres of water and "changed people's attitudes to water conservation" but blames a declining take-up rate for axing the ­program. The WaterFix program for households previously offered a free water-efficiency audit to households, repaired leaking toilets, taps, showers and pipes, and installed sensibly priced water-efficient fittings and appliances like dual-flush toilets and waterwise showerheads. A spokesman for Sydney Water said community adoption of the WaterFix program had been "low in recent years", with about 500 customers a year taking up the service. Water Minister Don Harwin last night said the program was instead being "refocused" on residential strata buildings. Targeting strata buildings saved about ten times as much water as the residential program, the Sydney Water spokesman said. Shadow Minister for Water Chris Minns said the axing of the program was a sign the NSW government had not been prepared for the drought. "This could mean water restrictions, when they are enacted, could be worse than they would have ordinarily been," Mr Minns said. 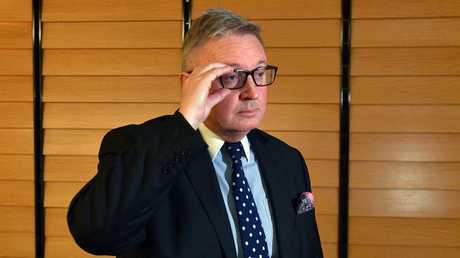 "When you put this on top of the broken desalination plant it's all the evidence you need that Water Minister Don Harwin has been asleep at the wheel." A map showing areas experiencing major water loss. 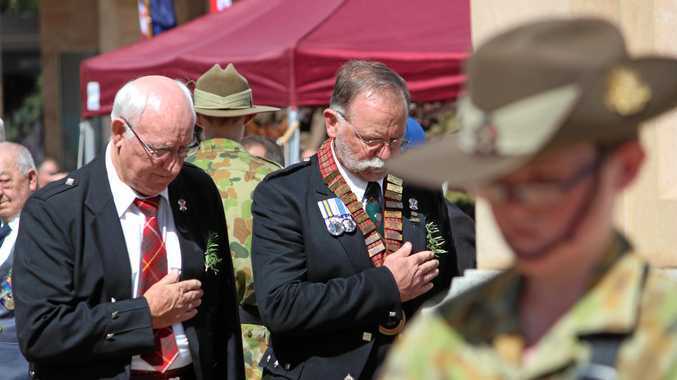 Minister Harwin said in a statement: "The NSW government is conscious of the fact that water is a very precious resource and we are working hard to make sure none of it is wasted." 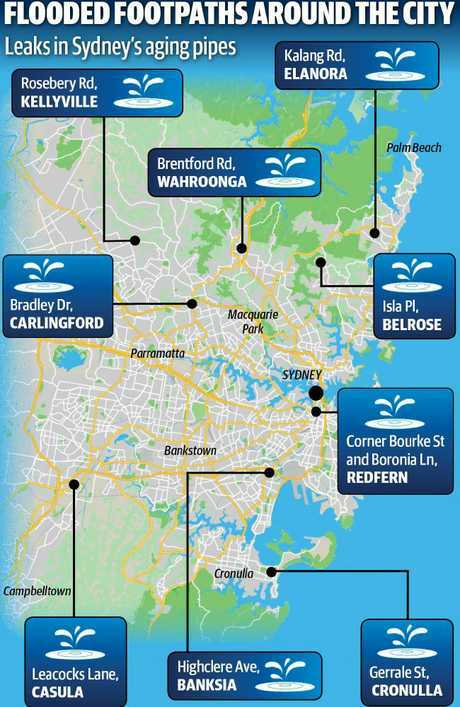 The Daily Telegraph revealed last week Sydney was bleeding 47 Olympic swimming pools of water per day - the equivalent of almost $230,000 worth to consumers - through leaks in the city's ageing pipes. 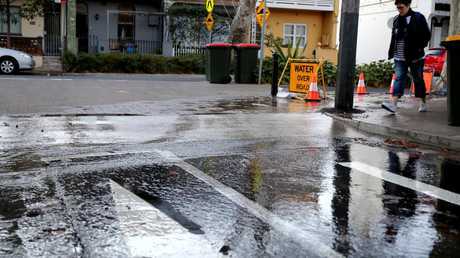 Sydney Water has revealed there has been a 15 per cent jump in water lost in leaks since 2014.